Partly cloudy. Low 46F. 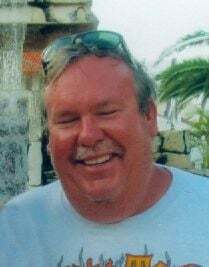 Winds light and variable..
WALCOTT - Daniel Carl Miller, 54, of Walcott passed away unexpectedly of natural causes on Tuesday, January 29, 2019, at his home in Walcott. He was born in Davenport on September 29, 1964, the son of John F. and Ellen J. (Sodeman) Miller. He was a lead installer for Seneca Corporation in Davenport. Dan was a hobby mechanic. He enjoyed working on his house. He and Kelly enjoyed going for rides on their Harley motorcycles and was an avid Steelers fan. Visitation will be held from 2-5 p.m. Sunday, February 3, 2019, at Bentley Funeral Home in Durant. Funeral service will be at 10:30 a.m. on Monday, February 4, 2019, at Bentley Funeral Home. Interment will be at the Walcott Cemetery. Dan is survived and lovingly remembered by his wife, Kelly; his parents, John and Ellen Miller of Walcott; his brother, Jim and Lisa Miller of Walcott; his children, Sarah, Matthew, David and Anthony; and 10 grandchildren. He was preceded in death by his brother, Michael Miller; and his infant son, Jonathon.